Balloon Fun Facts – Miscellaneous Information! Balloon Fun Facts You’ve Always Wanted to Know! Where else would you find fun balloon facts? Right here at Volunteer Balloon Decor where we strive to make your shopping experience hassle-free! Since our main goal is to make your quest for balloon decor stress-free, easy and uncomplicated, we’ve decided to answer the questions that we are asked the most. If we’ve missed one, please call and we’ll be happy to enlighten you! What area do we offer our services? We will go wherever we are needed! 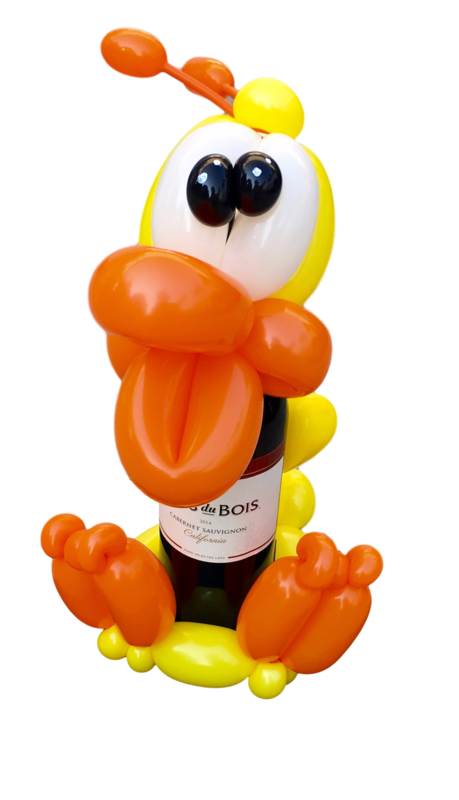 Whether you’re in Knox County, Crossville, Jefferson City, Chattanooga or out of state, we’ll be happy to provide you with awesome balloon decor! It’s important for you to tell us where your event will take place so we can take the distance into consideration and adjust our travel fees accordingly when you contact us for a price quote. The life span depends very much on the environment where it is exposed. The heat and sunlight will shorten the life of any balloon, whether latex or foil/mylar. Latex balloons filled with air will last several days inside your home. Why do balloons outside get a “velvety” look? Balloons outside will quickly oxidize, loose their shine and start looking velvety. If the temperature is cool or cold, they will also shrink – if it’s warm or hot, they will expand. A professional balloon artist will know to ask where the decor will be and will inflated the balloons accordingly. Latex balloons can be individually treated to remain “shiny” a little longer. However this will add to the cost as each one much be treated individually. What about helium filled balloons? As far as helium filled, in a perfect environment a non-treated helium filled latex balloon will be at it’s peak for about 12 hours and then will quickly descend. When we need to have them last longer, we will treat them with a product that will help them float for at least 24 – 36 hours. Of course this will add to the cost. Each balloon must be treated individually and the interior must dry before it’s inflated. As for foil/mylar balloons inflated with helium, you can expect them to last for weeks. They will shrink & wrinkle but will continue to float. Our balloon bouquets are always treated for a longer float time unless they’re ordered for a short term event and longer floatation is not required. Are balloons harmful to the environment? All latex balloons are bio-degradable and decompose at about the speed of an oak leaf. However, a balloon can be lethal if swallowed by any small animal or bird. It’s very important to pick up and discard all of the balloons – something that we always do on all of our jobs. We also try to educate clients and impress on them not to release any balloon, especially when it’s attached to a ribbon of any kind. That ribbon will not decompose, will become waste and might possible entangle a bird, fish or small animal. Here at Volunteer Balloons we adhere to Smart Balloon Practices. Foil or mylar balloons should never be released as they are definitely not friendly to the environment. They’ve also been known to cause power shortages if they land on the wrong part of a power line. Good question! In the following video you will see an example of the manufacturing process. This clip shows a simplified procedure – the entire process is totally automated and thousands of balloons are produced in a few minutes. I hope you’ve found this information helpful! If there’s anything else you’re curious about, please let me know and I’ll be happy to shed some light!